COLOGNE, Germany – Suppliers are upbeat about their business prospects despite challenges such as Europe's debt crisis, volatile raw material prices and the slower-than-expected recovery of the European economy, executives told Automotive News Europe here last week. "There is a disconnect when we try to reconcile what we see from the European macros and what we see in the orders," Alex Ismail, CEO of Honeywell Transportation Systems, said on the sidelines of the Automotive News Europe Congress. "Our order book looks great. We're going to have a very good year in 2011." "We're going to have a very good year in 2011," Alex Ismail, CEO of Honeywell Transportation Systems, said. 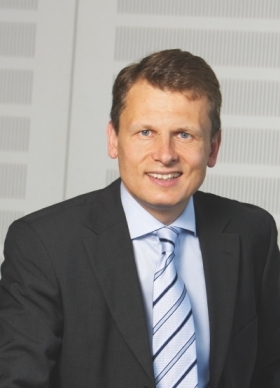 Ralf Cramer, head of Continental AG's chassis and safety division, said that despite challenges such as the March 11 earthquake in Japan, which is a key market for the company, he foresees the German supplier increasing global sales by 10 percent in 2011. "That is not our fixed, official forecast, but I can see that" happening, Cramer said in an interview. Continental had global sales of 26 million euros in 2010 and finished the first quarter of 2011 with revenues of 7.3 billion euros, an increase of 20 percent compared with the first three months of 2010. Ismail said that despite the Greek debt crisis, rising unemployment in parts of Europe and weak consumer confidence in the region, Honeywell is benefiting from what he calls a "double lift." That means it is winning from its customers' rising vehicle output as well as increased turbo penetration. Honeywell Transportation Systems, which is a wholly owned unit of Honeywell International Inc., controls half of the global turbocharger market, based on analysts' estimates. The unit expects to generate $4.5 billion to $4.7 billion in revenue this year, up from $4.2 billion in 2010. Turbochargers account for about 60 percent of those revenues. Ralf Cramer, head of Continental's chassis and safety division, said sees the German supplier increasing global sales by 10 percent in 2011. Cramer said he expects Europe, which had car-sales of about 13.7 million last year, to remain relatively flat in 2011, but Continental still is poised to benefit. "Even if the market grows by 3 or 4 percent, by volumes we can possibly grow by 5 to 10 percent because the installation rate for safety systems such as electronic stability control and driver assistance systems such as cameras is going up," he said. While the suppliers are bullish, both executives are concerned about the volatility of raw material prices. Honeywell is vulnerable to cost increases for nickel, copper and steel while Cramer's division can get hit hard by big price swings for steel, gold and other materials. Peter Tyroller, the board member in charge of sales and marketing at Robert Bosch GmbH, said another concern is the price of rare earth materials, which are crucial to hybrid car batteries. China, which is the source of almost all the world's rare earth materials, has been limiting exports, causing prices to rise. The China offer price of dysprosium hovers around $3,600 to $3,800 a kilogram, up from $300 a year ago, and neodymium is traded above $450, up from $45. To cope with the unpredictability of raw materials price increases, currency fluctuations and natural disasters, Bosch and Continental say they are striving to be more agile. "We need the highest flexibility because there are so many uncertainties," Cramer said. Tyroller agreed: "We need to prepare our companies to better overcome crises in the future by probably reducing break-even points to get more flexibility. No one foresaw the crisis in Japan one year ago. All of a sudden it was there."